Both prime ministers met death at the hands of their countrymen. The astounding thing is that they were father and daughter. In 1947, the British granted the area its independence. Pakistan was now a country in two parts, separated by thousands of miles of India. In 1955, the eastern section became a separate country: East Bengal. In 1971, it was renamed Bangladesh. 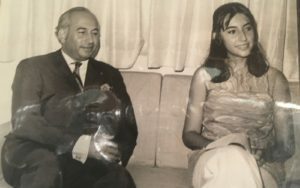 Ali Bhutto’s political career in his new country – a country that did not even exist until he was 19 – was meteoric. By 1963, he was Pakistan’s foreign minister. In 1971, he was named president. 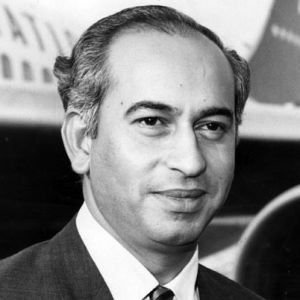 In 1973, Bhutto ran for prime minister and won 108 of the 146 votes, but nothing could ease Pakistan’s problems. By 1977, Bhutto was out of favor. He was arrested after a military coup, set free, then rearrested. He was sentenced to death. On April 4, 1979 Zulfikar Ali Bhutto was hanged. His daughter Benazir was 24. 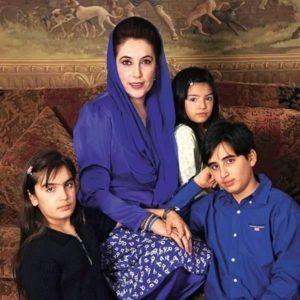 Benazir had already entered the political arena in the party founded by her father, the Pakistan People’s Party. 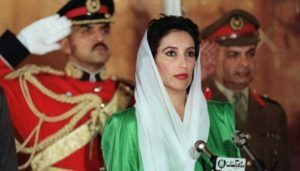 Eleven years after her father’s death, Benazir was elected prime minister at the age of 35, but her reign (1988-1990) proved as troubled as her father’s. She was ousted, then re-elected three years later (1993-1996) and again fell out of favor. Bhutto ran for prime minister again in the January 2008 elections. But On Dec. 27, after a triumphal meeting with her party, Bhutto entered her bulletproof car, but stood up through the sunroof to greet the cheering crowds. Bullets began to fly and there was an explosion. The official verdict? She died from hitting her head on the sunroof rim as she ducked. Later evidence showed that the explosion was the culprit. However it happened, Benazir Bhutto, the first Islamic woman to be democratically elected to lead a Muslim country, was dead. She had lived longer than her father by four years.